The joys of buying your first car can often turn into a nightmare once you actually start digging into your finances. Sure, it feels exciting looking at different specifications online or test drive a sports car at your local dealership. At the end of the day though, your wallet and bank account will determine whether or not you can get a vehicle. Fortunately, there are ways in which you can stretch every dollar of your savings to afford a car. Here’s five tips on how to make your first car purchase affordable without sacrificing the ultimate driving experience. The majority of first-time car buyers end up buying too much car with too little budget. This is because most choose and buy the car they want and then try to rework their finances to somehow fit the monthly payments in between. This is a very bad consumer habit that will likely put you in the hole. Determine your budget first by getting your net monthly income and subtracting monthly expenses from it. Assuming you only have the vehicle cost left after subtracting all expenses, then whatever number you get will be your limit. Have a cushion between your budget and the price of the vehicle you are intending to purchase. If you have $5,000 set aside for your first car, don’t choose a car that’s worth $5,000. There are additional costs to consider, such as vehicle insurance and car dealership fees. Maintenance will also be a regular expense if you are serious about keeping your vehicle in tiptop condition for several years to come. Last but not least, filling the tank up will cost you money, so be sure to leave a cushion in your monthly budget for legal fees and upkeep. Kelley Blue Book is a great online resource that you can use to determine the fair price for a vehicle. The site offers free information for thousands of used and new cars. In addition, there are in-depth, unbiased expert reviews and buyer guides to help you narrow down the wide selection of cars to a few ones that you will find most suited for your needs and budget. Sites like these excel as a marketplace for aspiring car buyers since it offers a comprehensive and extensive list of cars to choose from. Look into local dealerships as well. You might be able to find a much better deal at a South Utah Subaru dealer than at an extensive auto mall. If you’re getting a car on a shoestring budget, chances are you’ll need to apply for financing to cover a certain portion of the vehicle purchase. 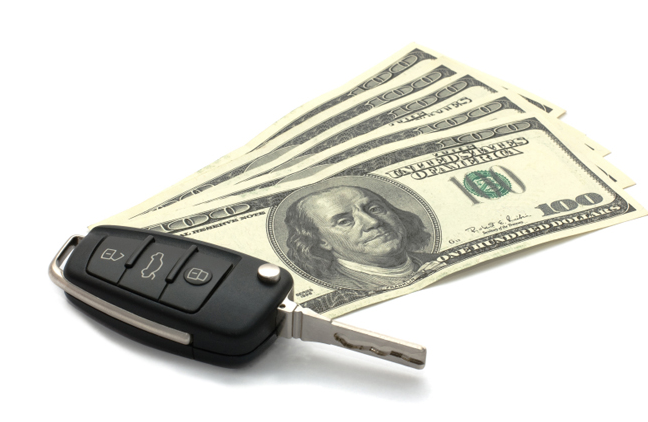 Use your budget as the down payment for a car loan. The higher the down payment, the easier and faster it will be to pay off your loan. As a general rule of thumb, car financing tends to be a more suitable option for people with a decent amount of money to put as down payment and are planning to buy a new vehicle instead of a used one. Your auto insurance premiums will also weigh heavily on your finances even after you’ve driven off the car from your dealership. Auto insurance premiums are especially higher for new car owners simply because they are seen by the insurance companies as a higher risk on the road. In addition, in certain states or countries, anyone 24 years of age or below will have a significantly higher insurance premium than drivers who are 25 and above. Once you’ve successfully purchased your first car, take extra care in avoiding accidents that cause personal injury or property damage. Your insurance rates can surge through the roof if you get into an accident, which will only make it harder for you to repay the outstanding monthly loan premiums.